Paleo is not a weight-loss “diet.” It’s a way of eating for health and longevity – which, for some people, involves weight loss as one piece of the big picture. With that said, weight loss is an important goal for a lot of Paleo dieters, and it’s certainly very motivating as an outward sign of changes under the hood. There’s nothing wrong with that at all. Goals are motivating. If a number on the scale or the measuring tape helps you stay enthused about making healthy changes, there’s nothing bad about keeping track of it. 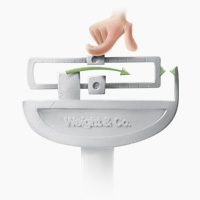 The trick is to recognize that weight loss – especially scale weight – is not a perfect measurement of health. It’s that balance of tracking weight loss without being dominated by it, or letting the scale push you into making unhealthy choices like starving yourself. It helps a lot if you know what to expect, so you can zoom out and look at the big picture, instead of getting trapped in short-term thinking during one bad week. So here’s a quick overview of what weight loss looks like on Paleo, some pitfalls to avoid, and tips for seeing the forest, not just the trees. So once you’re doing all of these things, what will the weight loss end up looking like? Weight loss does not look like a straight line down from your starting weight to your goal weight. Wouldn’t we all love that! Instead, here’s what to expect for the first few weeks. Initially, most people see a very rapid loss of 5-10 pounds in the first week. This is encouraging, but don’t expect it to last forever: it’s mostly water weight. Why so much water weight? Every gram of glucose (carbohydrate) in your body holds on to 3-4 grams of water. So when you lower carbohydrate intake, you’re losing a whole lot of water weight along with the carbs. This isn’t good or bad; it’s just a physiological effect of lowering carbs. 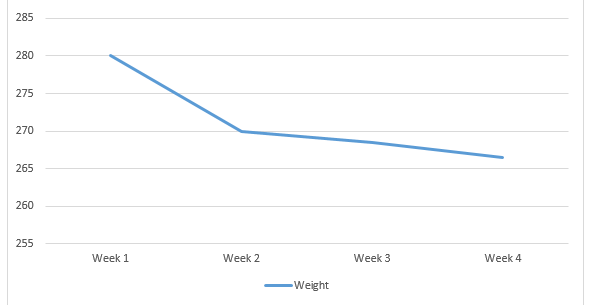 In Week 1, weight loss is very rapid – the pounds are just falling off thanks to water weight. Then weight loss inevitably slows, because there’s no more water weight to lose. Don’t get discouraged when this happens. Weight loss is not slowing down because you started doing anything wrong, or because Paleo isn’t “working,” or because you need to cut down to 1200 calories a day and start spending all your free time on the Stairmaster. It’s slowing down because the initial pace of loss was not sustainable. You can’t simply continue to lose water weight, unless your goal is to become a human raisin. Also, it’s important to note that not everyone sees the initial “whoosh” of water weight. If you were coming off a low-carb diet before you switched to Paleo, that water weight just isn’t there to disappear. After this initial rapid loss, the period of slow and steady weight loss begins. The standard number for a “moderate” weight loss is 1 to 2 pounds per week, but that certainly doesn’t imply a daily weight loss of 0.14 to 0.28 pounds on the dot! Instead, weight at this stage shows a general downward slope in the long term. Again, this doesn’t necessarily mean that you will get on the scale every day and weigh less than you did the day before. Some days, you may even go up, and then down again. “Weight loss” means that the overall trend is pointing in a downward direction, not that every day you wake up weighing a little bit less. Why is this “bumpy” pattern of weight loss such a big deal? Because it’s a huge stumbling block for so many people. The first day they don’t lose, they panic, assuming that they’ve plateaued and that obviously the whole project is useless. It’s one thing to read about this happening to some hypothetical person, but when it’s your own actual weight on the scale, it’s surprisingly easy to get sucked into the 0.1-pound fluctuation rabbit hole. Hormonal fluctuations (women in particular will retain more or less water weight, depending on the time of the month). Food in your stomach. The average person eats 3-5 pounds of food per day. Don’t weigh yourself once in the morning before breakfast and then get discouraged when you “gained” a few pounds by the evening! Clothes. Are you wearing different pants? A sweater? A bulky belt buckle? The scale doesn’t know the difference between your clothes and your body. Water retention from carbohydrates. This is the reverse of the initial rapid water weight loss. Remember that every gram of carbohydrate stored in the body comes along with a few grams of water (different studies put this between 3 and 4 grams of water per gram of carbohydrate). Increasing carbs can be helpful for fat loss in the long run, but it can also cause water weight gain in the short term. Salt intake. Salt is not bad for you, but it can cause you to retain water. Caffeine intake. 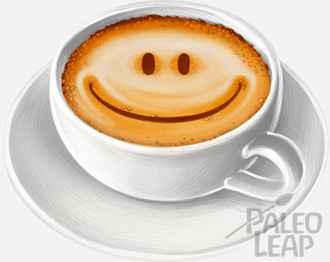 Caffeine is a diuretic (causes you to lose water). On the other hand, if you decide to quit coffee, you’ll hold on to a little more water weight. Medications. Birth control pills, steroids, and antidepressants can all cause water retention. Another huge reason why the scale lies is that it measures muscle as well as fat. If you’re doing any kind of strength training or muscle-building exercise (you should be! ), you may be gaining muscle. Muscle will show up on the scale as “weight” just like fat – it’s all pounds, so it all counts. But muscle is the kind of weight you want more of. The upshot: the scale measures total mass, but not all mass is equal. Constipation, your belt buckle, monthly water retention, and food in your stomach are not fat gain. Muscle gain is not fat gain. Fixating on the day-to-day scale weight is a perfect recipe for getting completely mired in these little details, and that’s just a miserable roller-coaster nobody wants to be on. So – ready to break free from the stress of daily weigh-ins? Jump straight to Part 2 of this series, featuring practical ways to track your progress without getting derailed or driving yourself crazy over tiny fluctuations.